The contribution margin income statement is very useful in planning and decision making. Though it cannot be used for GAAP financial statements, it is often used by managers internally. The contribution margin income statement is a cost behavior statement. 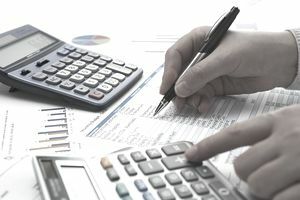 Rather than separating product costs from period costs, like the traditional income statement, this statement separates variable costs from fixed costs. A contribution margin income statement shows all variable expenses deducted from sales and arrives at a contribution margin. Fixed expenses are then subtracted to arrive at the net profit or loss for the period, or the amount remaining that will contribute to covering fixed costs and to operating profit. The gross margin is replaced in the statement by the contribution margin. Gross margin and contribution margin are different because in calculating fixed production costs are included in the cost of goods sold, whereas they are not included in the calculation of the contribution margin. The contribution margin income statement is sorted based on the variability of the underlying cost information, rather than by the functional areas or expense categories found in a normal income statement. Under both the contribution margin income statement and a normal income statement, the net profit or loss will be the same. In order to develop the contribution margin income statement, we have to convert breakeven in units to breakeven in dollars. We use the contribution margin ratio to do this. Using the same example, variable expenses of $0.80 are 40% of sales of $2.00 per unit ($0.80/$2.00). To calculate breakeven in dollars, divide its fixed expenses by the contribution margin ratio of 60% ($60,000/.6 = $100,000). This means that the company has to make $100,000 in sales to break even. If you want to check your work, calculate the company's variable costs using this method. Variable expenses are 40% of sales ($100,000 X .4 = $40,000). Sales of $100,000 minus variable expenses of $40,000 equal fixed costs of $60,000. You now know your calculations are correct because $60,000 are the stated fixed expenses of the company. The table below shows you the firm's income statement in contribution margin format. It shows you that if one more unit of the product is sold, to total 50,001 units, then the Net Operating Profit will rise above zero and the firm will make a profit. However, if one unit less than 50,000 is sold, the firm will incur a loss.